So Pdx Collections was a complete success. Months of preparation gave way to a show that we can all be proud of. 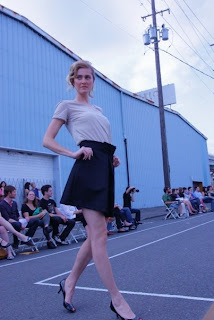 The event took place outside our studio, right in the heart of industrial North Portland. A trian even scooted by during the show, it was too perfect. Below are some of my favorite shots from the runway.